Thoughts and Ideas: Demise of the F. B. I. Demise of the F. B. I. Since Teddy Roosevelt ordered his Attorney General, Charles Bonaparte to create an investigative service for the Justice Department in 1908 and until 2016 the FBI has been a non-partisan investigative agency and recognized to have some of the best criminal investigators in the world. Bonaparte hired about 35 agents, taking some from the Secret Service and formed the Bureau of Investigation (BOI) headed by Stanley Finch and reporting only to the Attorney General. The BOI existed until 1935 when the name was changed to the Federal Bureau of Investigation (FBI). J. Edgar Hoover was head of the FBI from 1924-1972 and is considered to be the most influential person in giving the FBI the character and prestige it enjoyed until 2016. Today the FBI is not only our domestic federal law enforcement agency, but it also has responsibilities for gathering intelligence and providing security. James Comey is currently the director of the FBI and reports both to the Attorney General, Loretta Lynch and the Director of National Intelligence, James Clapper. In 2016 the FBI lost some of its prestige by allowing politics to sway its decision making. The FBI has made it clear that people with power and influence are above the law. Many people have thought that was the case for many years and it is often brushed off by thinking the people with money can afford better lawyers. That inane argument is now gone. Now we know that people with political influence are immune to FBI criminal charges. We have exclusive rules for the political class and a different set of rules that are applied more severely for the rest of us. The demise of the FBI may be the biggest legacy item President Barack Obama takes with him as he leaves office. I think this is worse than the creation of Obamacare. I think this is worse than allowing ISIS to become a formidable terrorist organization. I think this is worse than the Iran deal that gave Iran everything they wanted in secret and gained nothing for the United States. I think this is worse than allowing the Russians to have most of our domestic uranium. I think this is worse than reducing our nuclear arsenal while China, Russia, North Korea and Iran are increasing theirs. I think this is worse than finding a Russian Spy ring working inside our country and expelling the spies without consequence to them or their country. I think this is worse than paying 1.7 billion dollars ransom to Iran for four political prisoners. I think this is worse than releasing terrorists from Guantanamo Bay to return to terrorism. I think this is worse than Obama releasing 550 criminals from federal prisons and putting them on the street with us. I think this is worse than Obama allowing hardened criminal illegal aliens to walk the streets of the USA. What a list of incredible folly! When you lay it all out like that it is inexcusable. That is too many bad decisions by one administration. I did not know J. Edgar Hoover led the organization for so long. Really interesting. Thanks for reading the blog, AJ. Pete's comment is also of interest to you. 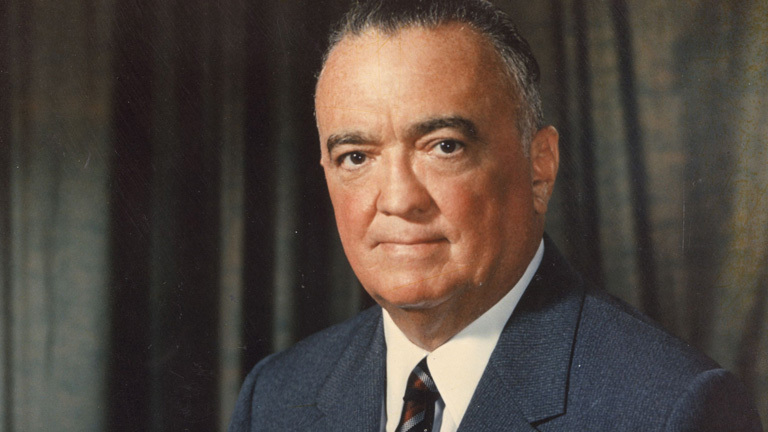 You should read about John Edgar Hoover. He was an unusual person. Thanks for your comment, Pete.I had not thought about how Homeland and TSA effected the FBI. I certainly agree the two new agencies are unnecessary.